Your business is most successful when you can focus on what you do best. By employing our Managed IT Services, we can focus on your IT needs for you because that’s what we do best. 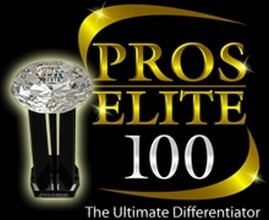 Awarded by PROS Elite 100 for service excellence, Image Solutions employs a wealth of expertise working with computing and imaging infrastructure to deliver a broad spectrum of IT services for businesses across North Carolina. Our highly trained professionals are experienced in both technical expertise and customer management to assess individual requirements and provide a tailored service for your organization. If your server or phone system goes down, it can mean huge losses for productivity and sales. Your business needs responsive client support. That’s why Image Solutions offers remote & on-site support to our clients to get them back up and running regardless of when the issue happens (because when was the last time something broke at a convenient time?). Our fully-managed IT services suite is designed to provide you with 24/7 peace of mind, freeing you to focus on driving your business forward. We monitor your systems, apply patches, protect against viruses, ensure backups are performing successfully, and more. We’ll catch (and fix) the little problems before they become big ones – in many cases before you’re even aware that there’s an issue. We can support your company whether your hours are Monday-Friday 8-5 or you’re a 24/7/365 organization. Our IT services can customize a support program that meets your needs regardless if your employees are all at one location, multiple locations, or multiple countries. We offer Help Desk support to assist your employees with any questions they may have about their technology. Our Help Desk is designed to provide you with professional and courteous customer service, expert problem resolution and unparalleled peace of mind. Your employees can enjoy peace of mind knowing that our certified technicians can quickly and efficiently resolve even the most complex technical problems. Change doesn’t have to be hard. We understand that the most critical part of transitioning to new and improved systems is the adjustments your staff must make. Without proper training, employees won’t be able to use new systems and solutions as efficiently as they could. We want your staff to be in a position to take advantage of our productivity solutions as much as possible to improve your organization’s workflow. Image Solutions is available not only to support organizations and manage their IT service delivery, but also provide staff training on any IT systems and software Image Solutions may implement. We can also provide training on a whole array of document management software the business may have implemented. Image Solutions is committed to providing customer-centered service to allow its customers to effectively outsource its technology management. To learn more about our Managed IT Services, please contact us today.